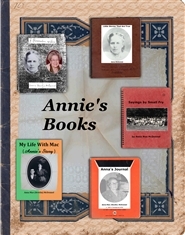 These books were written by my maternal grandmother, Anna Mae “Annie” (Newlin) McDonnel. Grandma lived a long life; she was born in a log house in 1890, and she passed away in 1982 at 92 years of age. 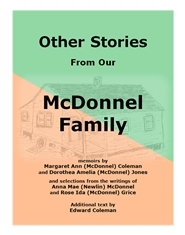 She wrote about family, friends, and life on the farms and in the communities where she lived. Her life is part of our history. 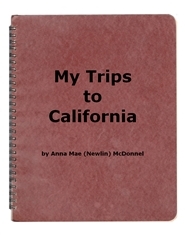 Grandma Mac, Anna Mae (Newlin) McDonnel, wrote about her three trips to California; 1957, 1960, and 1960-61. Joel Newlin was my great-grandfather. His 1862 letter from a Union Army camp is the only writing we have about his Civil War experience in his own words. 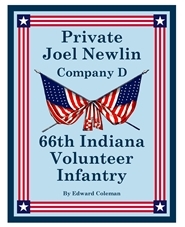 I found letters and a diary from other members of the 66th Indiana Infantry that tell us what was going on in his regiment, and I also found letters, diaries, and books from other people involved in those events. 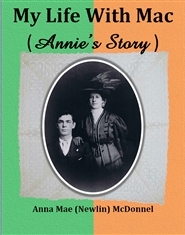 By weaving these different historical accounts together we can construct a plausible story of his life during the Civil War. We will never be able to see the war through his eyes, but I believe we can see some of what he experienced through the eyes of other people who were nearby. 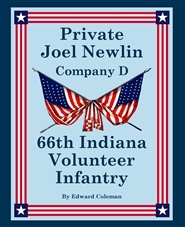 Private Joel Newlin - BLACK and WHITE - I created this BLACK and WHITE version of the book as a lower-cost alternative for anyone on a tight budget (like me). The content in this version is (almost) the same as in the color version but the illustrations and images are in gray-scale.